side of the Etna, in the commune of Milo (Ct) and countryside Cavaliere, on the southern side of Etna, commune of Santa Maria di Licodia (Ct). Altitude: 900 and 1.000 m asl. Terrain: sandy, volcanic, rich in minerals, with a subacid reaction. (free standing bush). 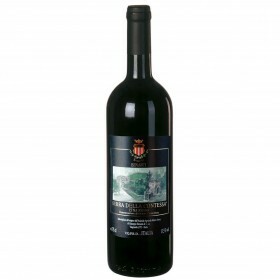 This indigenous vine is cultivated only on Etna. Its name seems to attributed by the vine-grovers of Viagrande because of its characteristics of allowing a good, constant production over the years. The bunches, at ripeness, are of average length usually, and scattered; the grape is of medium-sized with very pruinose skin and a greenyellowish color. The pulp is juicy and the taste is simple and sweet. Grapes yield per hectare: 80 q. Age of vineyards: 35 and 50 years. of October) intact are softly pressed. The fermentation process is slow, at a temperature of 18-20°C in steels vats. 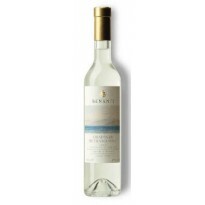 The wine is left to mature for a certain period of time in tanks, before being placed in bottles. Organoleptic characteristics: - Color: pale yellowish with bright greenish tints. - Scent: intense, rich, delicate, fruity, of ripe apple. 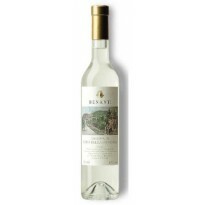 - Taste: dry with a pleasant acidity and nice aromatic persistence. Alcoholic content: 12-12,5% by VOL. Gastronomic accompaniment: with all kinds of a seafood.